Transform, sequence, phase, metamorphosize, morph, shift, change, transition… on and on, call it whatever you like it all comes down to one thing – man turning into beast. Today we’ll discuss the actual physical change. Authors, TV shows, movies, they all have their own image of the change from human to wolf. In movies like An American Werewolf in London or Underworld the change is slow and very painful; in the famous Twilight novels it is quick and more magical than physical. Some have a more scientific view on it and others have a mystical view on it. He should be dead within 30 seconds. The werewolf heart is about two thirds the size of a humans. But in order to shrink, first it has to stop. In other words, he has a heart attack. All the internal organs are smaller, so while he’s having his heart attack, he’s having liver and kidney failure too. And if he stops screaming, it’s not because the pain has dulled. His throat, gullet and vocal chords are tearing and reforming. He literally can’t make a sound. By now the pituitary gland should be working overtime, flooding his body with endorphins to ease some of the pain, but that too has shut down. Anyone else would have died of shock long ago, but it won’t let him. And that’s the thing I find most remarkable. It drags him through the fire and keeps him alive and conscious to endure every second. Nothing like this could just evolve. This is the fingerprint of God. An impossible lethal curse, spread by tooth and claw. Victim begets victim, begets victim. What a deep, vivid and dark description of the change. It’s really amazing and absolutely horrifying when put like that isn’t it? This is one out of many transformation views. As mentioned, every writer has their own version as to what the shift involves. What about you guys? 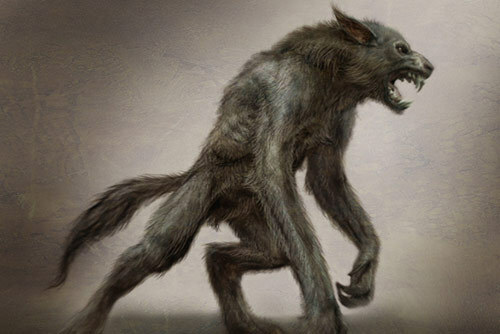 What do you think the change from man to wolf is like?